Park Location & Design - Friends of Danvers Dog Park -- Join the Pack! Friends of Danvers Dog Park -- Join the Pack! 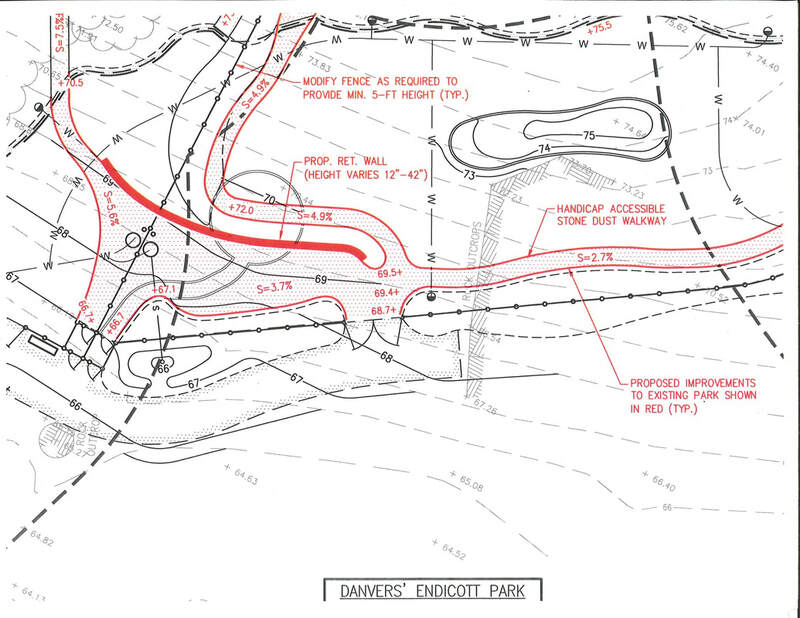 A nearly one-acre section of Endicott Park was chosen as the site of the Danvers Dog Park. Located between Forest Street and Ingersoll Street, the park has a landscaped access path and features solid aluminum fencing, perimeter shrubbery and (somewhat) comfortable benches. The park is designed to offer separate play areas for small and large dogs, so that all Danvers canines will have a place to socialize and exercise safely, under the supervision of their human companions.